Expect some major changes now that IBM is spending $1 billion to acquire Merge Healthcare, says IHS analyst Stephen Holloway. IBM and its Watson supercomputer are set to have a big impact on radiology and medical imaging once IBM's $1 billion purchase of Merge Healthcare closes, according to a new analyst report. Chicago-based Merge Healthcare's medical imaging management platform is used at more than 7500 U.S. healthcare sites, as well as many of the world's leading clinical research institutes and pharmaceutical firms. Stephen Holloway, associate director for IHS Inc., notes that the deal will give Watson access to more than a half billion medical images stored in Merge's enterprise archive storage platform. The goal at IBM (Armonk, NY) is to enable Merge's customers to use the Watson Health Cloud to analyze and cross-reference medical images against a deep trove of lab results, electronic health records, genomic tests, clinical studies, and other health-related data sources. IBM officials think there is a desire in the healthcare field for such imaging analytics. According to IBM, radiologists in some hospital emergency rooms are presented with as many as 100,000 images a day. IBM represents a deep-pocketed entrant into a market that has been dominated by six companies--GE Healthcare, Philips Healthcare, Siemens Healthcare, Toshiba Medical Systems, Hitachi Medical, and Samsung. Most of these vendors already have their own radiology IT platforms that they've bundled with the hardware, Holloway says. The arrival of image storage and management software vendors such as Merge and Lexmark Healthcare has already eroded traditional imaging vendor share in recent years. "If IBM can make Watson AI products for image analytics clinically relevant and seamlessly integrate these tools into the EMR, control of the radiology IT market will increasingly shift away from traditional radiology IT vendors. It may even force a departure of industrial medical imaging suppliers away from IT software all-together, as most do not have the big data or analytics capability to compete," Holloway says. 2. A radiologist versus artificial intelligence turf war? 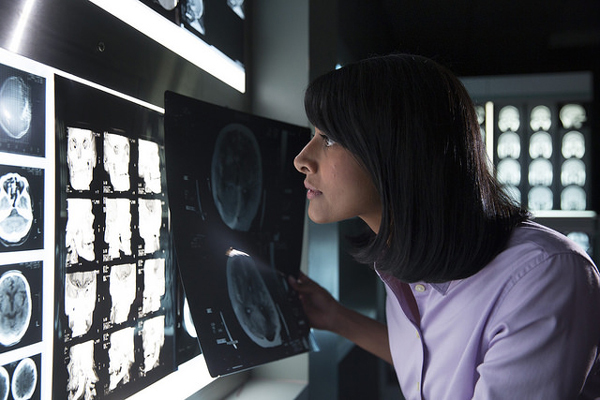 In the short term, Watson will likely provide decision-support tools, similar to the computer aided diagnosis software for breast imaging that has assisted radiologist reporting. But in the long term, look out for Watson joining the dots by drawing on a wealth of other medical diagnostic information gathered from the health and medical record data of a huge population. "If this happens, radiologists may increasingly find themselves redefining their role in care provision," Holloway says. Bringing artificial intelligence into healthcare could spark a whole host of ethical and legal issues, according to Holloway. "Will AI decision-support tools remain just so, as decision support tool, or will over-time the judgement of physicians be called into question? With increasing electronic tracking of care management and metrics to ensure quality of care and drive efficiency, will reliance on such analytics override physician diagnosis?" Holloway says. Watson's advice could even conceivably become evidence in a lawsuit against a physician over an incorrect diagnosis. "What is certainly clear though, is that radiology will likely never be the same again," Holloway says.